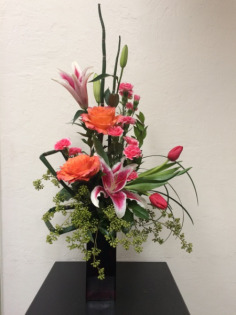 Whether it's the first month, the first year, or the fiftieth, HEAVENESSENCE FLORAL & GIFTS in Boise, ID can help you send romantic anniversary flowers with your message of love. Nothing makes a girl feel more special than a delivery of flowers. Send a small arrangement of her favorite flowers to say, "You're my Sweetie" or go for gold with a dozen red roses. No matter what your choice, HEAVENESSENCE FLORAL & GIFTS can help! Happy Birthday can be expressed with the gift of flowers from HEAVENESSENCE FLORAL & GIFTS in Boise, ID. Whether you're looking for a unique birthday gift or party decor, floral arrangements are always sure to make a statement. Out of town? Don't let that stop you from wishing someone "Happy Birthday". 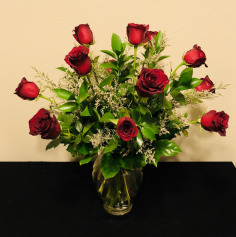 Surprise them with a vase of our best roses, tulips, or daisies, just to name a few, from HEAVENESSENCE FLORAL & GIFTS. There really is no better way to say, "I love you" or "Just thinking about you". Browse our selection of sample birthday arrangements. Order online or give us a call today. Let HEAVENESSENCE FLORAL & GIFTS of Boise, ID help you send get well wishes to your friend or loved one. Show them how much you care with a get well gift basket filled with a floral arrangement or customized get well gifts. A basket filled with snacks, bath products, unique jewelry and accessories, or a favorite stuffed animal is a great and easy way to cheer up a loved one. Top off your personalized gift with a fun balloon bouquet. Wanting something a little more traditional? There is no better or simpler way to remind someone that you're thinking of them than with get well flowers from HEAVENESSENCE FLORAL & GIFTS. 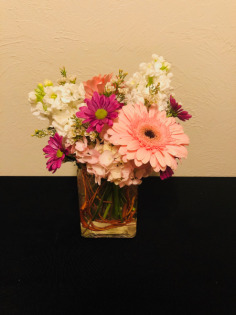 Scroll down to browse and order online from our sample selection of get well flowers and plants or call to customize a gift for that special someone. Let HEAVENESSENCE FLORAL & GIFTS of Boise, ID help you wish a loved one a "Get well soon". 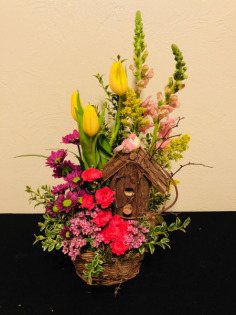 HEAVENESSENCE FLORAL & GIFTS in Boise, ID has floral arrangements and gifts perfect for special occasions, but sometimes you don't need a reason to remind someone you care. That's why we think "Just because" is one of the best reasons to say: "Thank you" "I'm sorry" "I love you" "Hope you're having a good day" "Hope you're having a better day" "Good luck" "Congratulations" "I miss you" "I wish I could be there" or "Forgive me." Browse our sample selection at HEAVENESSENCE FLORAL & GIFTS in Boise, ID and order online or call us to place an order "Just because." HEAVENESSENCE FLORAL & GIFTS in Boise, ID has great gift ideas on hand for any new mommy or baby. Help welcome an addition to the family with a beautiful flower arrangement or gifts. Flower centerpieces add to the decor of any baby shower, and every new mom needs a corsage for the event. Hoping for a unique shower gift? Customized, new baby gift baskets are always a great way to let someone know you care. HEAVENESSENCE FLORAL & GIFTS will fill your new baby gift basket with gourmet snacks, bath products, fun jewelry and accessories, flowers, or stuffed animals that are sure to excite any new mommy. Top off your unique new baby gift from HEAVENESSENCE FLORAL & GIFTS with a balloon bouquet. Browse and purchase online from our selection of baby floral arrangements designed with a baby girl or baby boy in mind. Stop by our store or give us a call to place an order for something truly special. Let HEAVENESSENCE FLORAL & GIFTS in Boise, ID take care of all your new baby gifts. Graduating from high school is one of the proudest moments in a teens life, and one they should be proud of. Show them your support by sending a graduation bouquet in their honor. 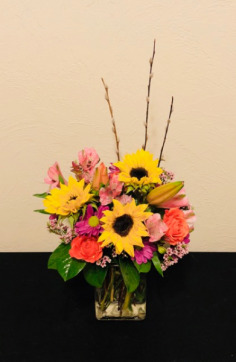 Let HEAVENESSENCE FLORAL & GIFTS in Boise, ID help you choose a arrangement to match any grad's style -- from elegance and sophistication, to fun and playful, we can do it all! We have flowers, gift baskets, plants and gift items for any occasion. We are always happy to create a custom design for you for your unique occasion! Check out our Anniversary Flowers page to find a lovely arrangement for the love of your life! 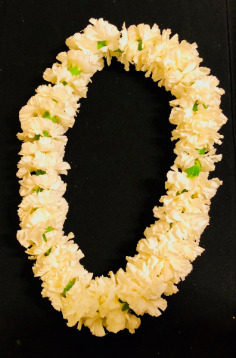 Don't forget to look at our Gift Items page to order add-ons like garden accessories, Fairy Garden Accessories, Handmade Soaps and bath items, earings and bracelets and more!